Physical stamping is a fun activity adults and children enjoy. 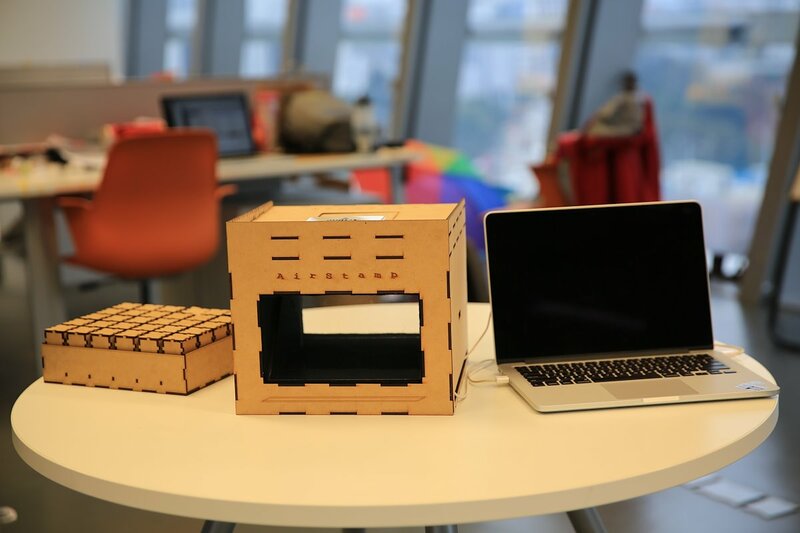 In this project, we give this physical stamping activity a digitise, interactive twist by combining with modern technologies. 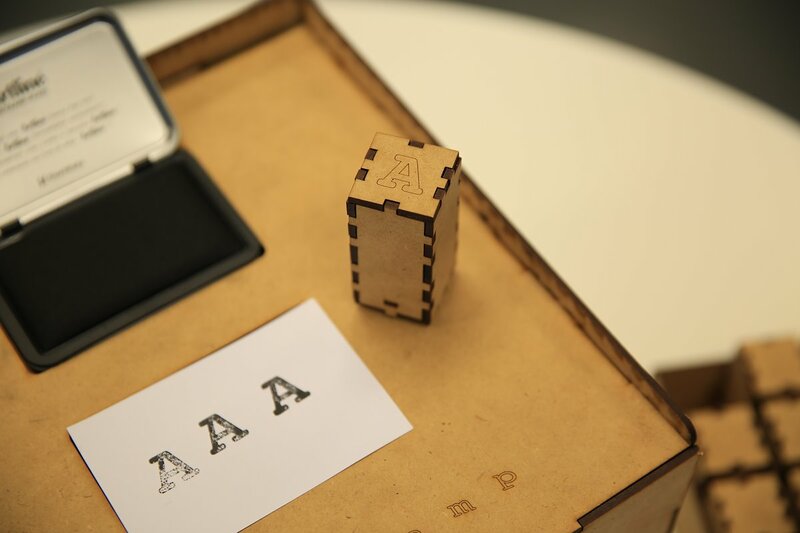 When a stamp is pressed, it is converted into digital images using RFID technology and Piezoelectric Pressure Sensor. 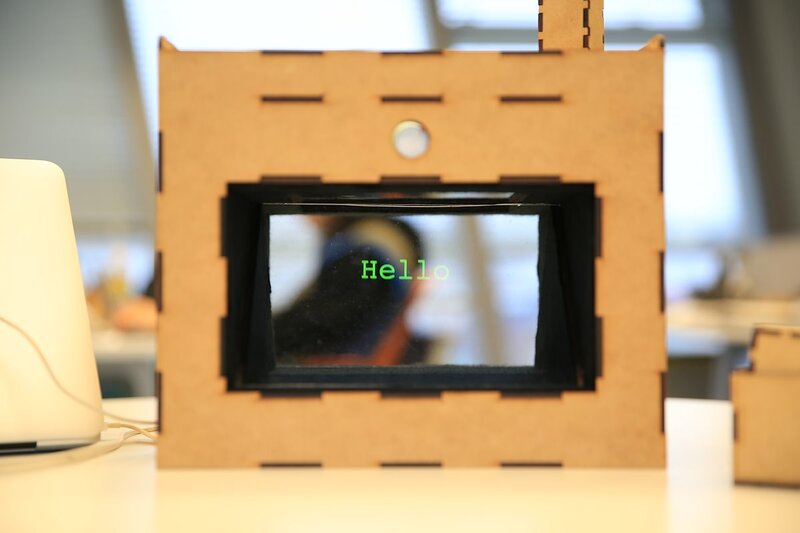 To further enhance the interaction, the user is able to manipulate text size through hand movement and to erase the text by blowing into the display enabled by built-in Infrared Distance Sensor and Piezoelectric Pressure Sensor. Check out the video to see how AirStamp works. Co-designed with Yao Yue Yang. 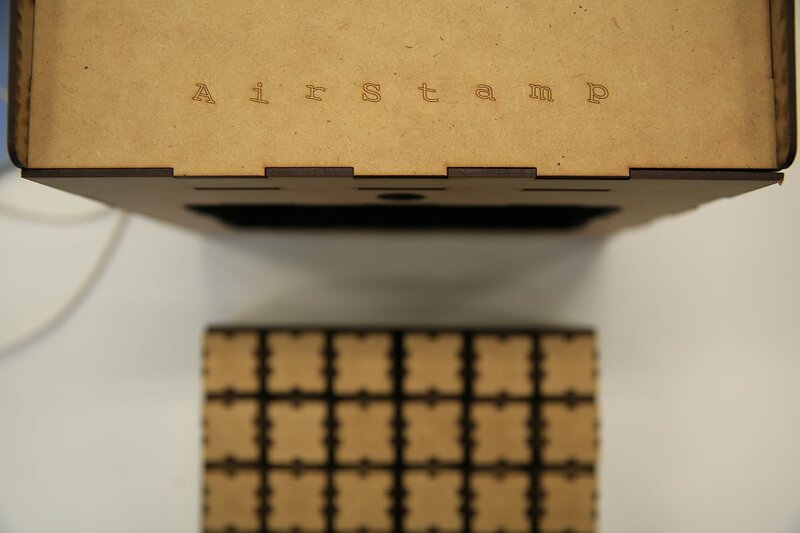 Stamping As Input Device Situated On Top of the Structure. 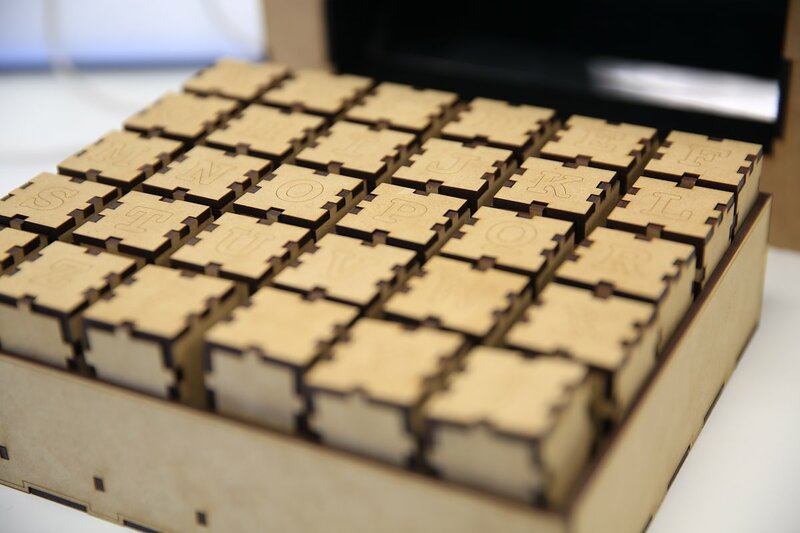 Stamps As Input Device With RFID Tags Embedded. Displaying Text Stamped Using the Stamps Input Device Utilizing RFID Reader and Piezoelectric Sensors. Video On How AirStamp Works and the Production of It.